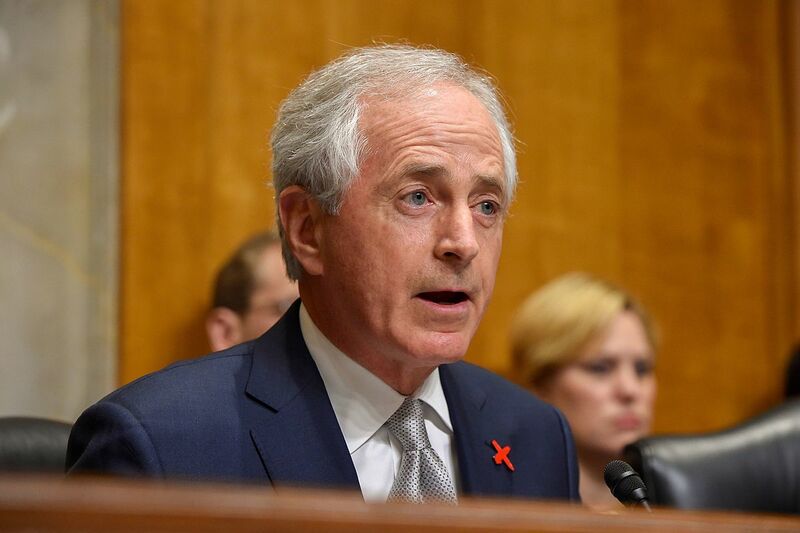 By excluding dissenting voices on US policy toward Russia, the Senate Foreign Relations Committee has been reduced to a vehicle for prejudice reinforcement. In early February, the Senate Foreign Relations Committee held the first of what promises to be many hearings on the topic of Russia in 2017. Retired Air Force general Philip Breedlove testified alongside former National Security Council official Julianne Smith on the current state of US-Russian relations. On the face of it, the decision to call Breedlove and Smith before the committee makes perfect sense. Breedlove, fresh off his final assignment in uniform as NATO’s Supreme Allied Commander, drove the alliance’s response to the outbreak of violence in Ukraine that began four years ago this February. Smith served as a national security adviser to then–ice President Joe Biden, who was the Obama administration’s point man on Ukraine. Both Smith, who is currently a senior fellow at the Center for a New American Security, and Breedlove, now a board member of the Atlantic Council, have impeccable establishment credentials and have testified on Capitol Hill on issues relating to Russia and Ukraine numerous times over the past several years. One could be forgiven, then, for wondering why the hearing was held in the first place. After all, the views of the two witnesses are by now well-known. Appearing before the Senate Armed Services Committee in March 2016, Breedlove told Senator John McCain that he personally favors a policy of sending lethal arms to Kiev, even though this was contrary to Obama administration policy. Breedlove was such a fervent advocate for sending arms to Kiev that, as The Intercept reported last year, Breedlove spent many hours while on active duty enlisting the help of retired general and former presidential candidate Wesley Clark in lobbying the Obama administration to take a more active role in the fight in Ukraine. As for Smith, she has testified on Capitol Hill on matters relating to Russia, and what is often euphemistically called “transatlantic security,” on four previous occasions in the last three years. None of this is to single out General Breedlove or Julianne Smith. Indeed, congressional hearings featuring witnesses who merely echo and reinforce each another’s testimony is by no means unique nowadays; hearings of this nature have become the norm on Capitol Hill. There was a time when the Senate Foreign Relations Committee included members who possessed a wide variety of views, when Cold War hawks faced off against doves, as opposed to the uniformity of opinion that prevails today, particularly with regard to Russia policy. The Foreign Relations Committee used to invite a vast assortment of experts to give their views. Now it doesn’t. In the final years of the Cold War, the Foreign Relations Committee invited a vast assortment of experts to give their views on how to address the challenges of that era: There were prominent neoconservatives (Paul Wolfowitz, Richard Perle), liberal interventionists (Madeline Albright, Jeffery Sachs), realists (Dimitri Simes), academics (Robert Legvold, Frederick Starr, Graham Allison), former diplomats and negotiators (Paul Nitze, George F. Kennan), former cabinet secretaries (Robert McNamara, James Schlesinger), economists (John Kenneth Galbraith) and labor representatives (Lane Kirkland). …the country they describe as the Soviet Union is not a country that I recognize from 30 years of study and of living there…. The country they are describing may be Switzerland, or Luxembourg, or Mississippi, or Kentucky, where I come from. But it’s not the Soviet Union. It hardly needs saying that we’re a long way from a time when that kind of candor was welcome in the halls of Congress; but it shows there was a time when senators and representatives actually tried to inform themselves instead of merely cherry-picking from a selection of Washington experts most likely to confirm what they think they already know, as is common practice today. Perhaps the last time there was an actual debate before the Senate Foreign Relations Committee on a Russia-related policy matter was 20 years ago, in 1997, when the committee, chaired by none other than arch-conservative Jesse Helms, held a series of seven hearings on whether the Senate should approve the Clinton administration’s plan to enlarge NATO. Once again, but perhaps for the last time, there was a robust debate featuring a multiplicity of views and policy recommendations. Needless to say, the pro-enlargement view carried the day—but it did so only after having been debated and challenged by the preeminent experts of the day. The Lugar hearings on NATO featured virtually no dissenting voices from what had become a bipartisan consensus in favor of enlarging the alliance to include the former Soviet republics of Latvia, Lithuania, and Estonia; former Warsaw Pact members Bulgaria and Romania; and the newly independent Balkan states of Slovakia and Slovenia. Here’s a representative sample of the witnesses who were called before the committee to testify in favor of moving NATO’s front line right to Russia’s western border: William Kristol, a neoconservative magazine editor not previously known to possess any expertise on the region; Bruce Jackson, another well-known neoconservative who served with Kristol on the Project for the New American Century; and Ronald Asmus, a former Clinton administration official and one of the driving intellectual forces behind the first round of NATO expansion. With the return of Vladimir Putin to the Russian presidency in 2012—and the subsequent onset of the Ukraine crisis, sparked, in part, by Russian concern over NATO expansion—it has become increasingly clear that congressional hearings are now held mainly in order to showcase, reinforce, and promote a uniformity of opinion regarding US policy toward Russia and Eastern Europe. Consider that the Republican-controlled Senate Foreign Relations Committee began to hold hearings on Ukraine a full two years before the overthrow of Ukraine’s nominally pro-Russian president Viktor Yanukovych. In February 2012, the committee heard testimony from a number of Washington think-tank scholars, including Brookings Institution fellow Steven Pifer and Atlantic Council executive Damon Wilson, who argued on behalf of American efforts to “democratize” and “Westernize” Ukraine. At that hearing, both Pifer and Wilson expressed concern over the direction Ukraine was heading under Yanukovych. In the years that have followed, in hearing after hearing, congressional committees have continued to turn to the same pool of establishment experts, not in order to have their assumptions challenged but in order have their preconceived biases, and the wisdom of their preferred policies—such as democratization and regime change—confirmed. In the months and years following Yanukovych’s ouster, Pifer and Wilson made a number of return appearances to Capitol Hill. Not a single dissenter from Washington’s consensus view of Russia has appeared since the present crisis began. Pifer appeared again before the Senate Foreign Relations Committee in June 2014, when he argued for greater American involvement in Ukraine. “One area where the United States should do more is military assistance,” he said. Pifer returned again in March 2015 to tell the committee that “the United States should make preparations to provide increased military assistance to Ukraine, including defensive weapons.” The United States should also, according to Pifer, “consider increasing the size of its ground force presence in the region.” On this occasion Pifer was again joined by Damon Wilson, who echoed Pifer’s call for increased American military involvement. “Assistance to Ukraine should include substantial military assistance,” which would, according to Wilson, include “lethal military assistance such as anti-armor missiles, as well as intelligence support.” At that hearing, Wilson and Pifer were also joined by two globally recognized critics of Putin’s Russia, the former chess grandmaster Gary Kasparov, and former Georgian president Mikhail Saakashvili, both of whom condemned Russia in no uncertain terms. It should be noted that during the current crisis period in US-Russian relations (which began in roughly 2012), not a single outside voice or dissenter from the Washington foreign-policy community’s consensus view of Russia has appeared before the Senate Foreign Relations Committee. Indeed, committees in both Houses of Congress have held multiple hearings on the alleged threat posed by Russian state media, Russian human-rights abuses, and Russia’s military intervention in Syria and Ukraine, but have held not a single one on topics which might threaten to upend the Washington foreign-policy consensus, like the troubling rise of anti-Semitism in Ukraine in the years following the overthrow of Yanukovych. Those who would stake out adversarial positions or who are not members in good standing of the Washington establishment need not apply. Today it would seem the goal of these hearings is to buttress narratives that have already been decided upon. Yet the prevailing narrative as it concerns Russia and Ukraine is one that is largely unsupported by facts, evidence, and logic. Today, congressional hearings merely function as a high-end salon for the foreign-policy establishment’s chattering class, enforcing conformity of opinion and narrowing the scope of acceptable policy options available to the president. The trend toward “show hearings” accelerated markedly during President Obama’s second term, particularly after the onset of the crisis in Ukraine. Every few months, one or another Senate or House committee with purview over foreign affairs rounds up the usual suspects from the usual Washington institutions for what amounts to an exercise in prejudice reinforcement. This is a new and worrisome development. It also represents a break with a long tradition in US foreign policy, particularly with regard to Russia. We will be living with its consequences for many years to come.